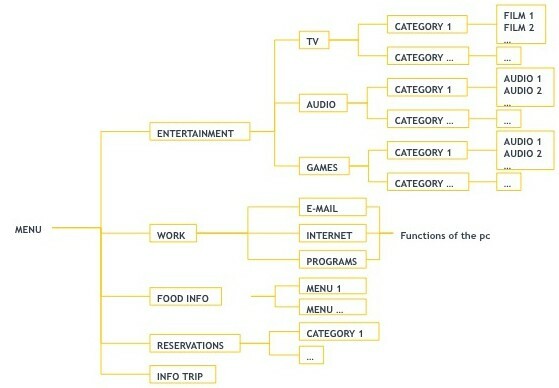 A products “Logic Structure” is the sequence of commands which enable an interaction tast to be completed. A well designed logic structure has many benefits as it means the user has a short learning curve, can execute commands rapidly and will be able to “visualize” the interface, This is particularly important in Automotive Navigation Map design. We checks the clients HMI specification and language (descriptions, words, phrases, etc.) on the actual product. Sometimes translators fail to take into consideration the effect of different translation lengths of the same phrase on the screen interface. 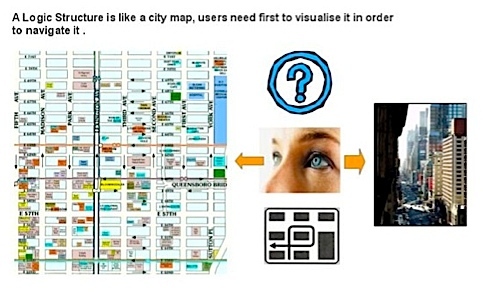 It is important to have a complete diagrammatic map of the interface. We call this map the HMI (Human machine Interface) logic structure. In some cases the client’s designers and developers will not adhere to accepted norms or an existing HMI logic structure developed by the Tier 1 supplier company. If the client version lacks a proper or complete map of the logic structure then we will make one for the client.